Senior US diplomat Richard Holbrooke died on December 13, 2010. 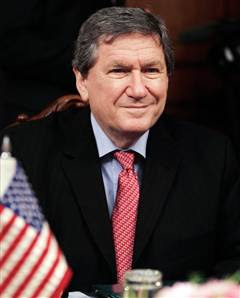 The late Richard Holbrooke served for many years as a US diplomat. He graduated from Brown University in 1962 and became involved with the war in Vietnam working for the Kennedy and Johnson Administrations. He played a significant role in the Paris Peace Talks to end the Vietnam War while still very young. 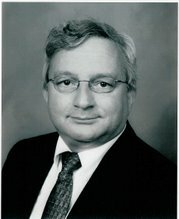 His biggest accomplishment is brokering peace in Bosnia with the Dayton Peace Accord in 1995 while working for the Bill Clinton administration. Twice he was Assistant Secretary of State. At age 25 he was Assistant Secretary of State for East Asia and later as Secretary of State for Europe. He was also US Ambassador to the United Nations. Richard Holbrooke was trying to negotiate a peace in Afghanistan as President Obama's Special Representative when he died at age 69 following a suddenly torn aorta requiring major surgery from which he could not recover. Richard Holbrooke was a great negotiator and a peace maker. He was the leading American diplomat of the past half century and we should honor him this Christmas season. Let Richard Holbrooke set an example to us and our children of public service and the urgency of peace.